If you’re new here, Hot Clicks is everything you need to know in the world of sports and pop culture, ready for you to read right when you get to work in the morning. English Premier League club Watford didn’t have a great season in 2017–18, finishing 14th in the league. Things were especially bad on the road, where 13 of the Hornets’ 19 losses came. But a select few of Watford’s most ardent supporters were there to see each and every one of those losses (plus four wins and two draws). The fans loyal enough to go to all of Watford’s 19 EPL away games—including all the way in Manchester on a cold, rainy night in January when their boys lost 3–1 to City—received a special surprise on Friday. The club decided to reveal its new away jersey for the upcoming season by mailing it to those fans. Inside the package was a letter from the club thanking the fans for their unwavering support. Earlier this week I mentioned the story of Saints defensive lineman Mitchell Loewen rescuing a man whose car plunged off a parking garage. It turns out he’s not the only U.S. athlete to save a life this week. Marc Gasol has been volunteering with a Spanish NGO to aid in the rescue of asylum seekers lost in the Mediterranean Sea. When a boat traveling from Libya sunk in the middle of the sea, Gasol’s ship went looking for survivors. There was only one—a Cameroonian woman named Josefa—and Gasol dived into the water to save her. I found this story about a counterfeit Chinese iPhone really fascinating. ... Archeologists finally opened a recently discovered sarcophagus and found something really gross inside. ... Jaromir Jagr is 46 and planning to suit up this for the Czech team he owns. ... This 10-year-old girl is a skateboarding prodigy already winning competitions against grown men. Don’t you hate when your flight lands and you get stuck at customs? 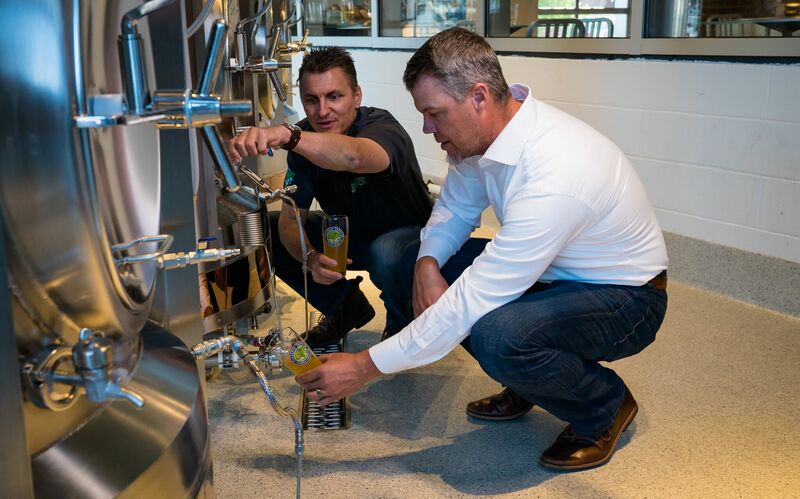 Chipper Jones is working with Georgia brewery Terrapin Beer Co. on a special brew—a Kölsch called CJ10, naturally—to mark his induction into the Baseball Hall of Fame at the end of the month. I’m planning to have a Q&A with Chipper in Hot Clicks some time next week. Dig out. Hoik. Flip. Smite. Tip. Tonk. The latest installment of PBS’s documentary series is on the legendary Ted Williams. The film includes never-before-seen footage of Williams’s final game shot by a Boston art student and kept in a drawer for more than 50 years, as well as an examination of his Mexican-American heritage, which he kept secret from the Red Sox’ racist owner. They should have gone yesterday, when temperatures above the arctic circle exceeded 90 degrees.